At the end of the day, there’s really nothing more important for homeowners in Folsom, El Dorado Hills, Citrus Heights (and beyond) than being comfortable at home. True home comfort can be difficult to achieve if your heating and cooling systems aren’t up to par, and this is one of the biggest problems that people run into around this time of year. Summer temps are likely to continue for a while, which is why we’re offering a $99 combined heating and cooling maintenance deal to keep your HVAC systems running smoothly. There are a number of reasons why preventative maintenance is a good idea, but perhaps the most important is that it can result in benefits that last you throughout the entire year. Take energy efficiency, for example. Just like a car that suffers from poor gas mileage due to a dirty air filter, you have to expect that a home heating or cooling system will struggle if it hasn’t checked on for a while. Maintenance means a boost in overall energy efficiency, which no one should ever turn down. Another reason why preventative maintenance is key comes down to avoiding the need for emergency service to be performed. Last-minute breakdowns can and do happen, and emergency repairs can be costly, which adds insult to injury when you’re not expecting it. If you keep up with your maintenance, however, random breakdowns are far less likely to occur and shouldn’t become an issue. One of the most attractive benefits of preventative maintenance is the fact that keeping your heating and cooling system running well will ultimately lead to lower energy bills. In an economy that seems to always be shifting, this alone is a good enough reason to keep your HVAC system maintained. At California Energy Services, we want each customer we serve to experience true home comfort, all year-round. Our $99 heating and cooling deal gets you two seasonal 30-point tuneups—one for your AC in the spring, and one for your heater in the fall. You can also expect members only specials four times per year, 24-hour service and priority scheduling, not to mention rewards points towards future purchases. 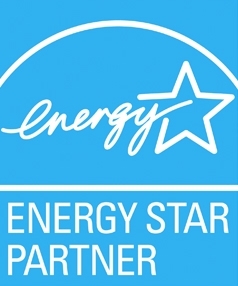 If you’re trying to improve your home’s energy efficiency, this is a deal that simply can’t be beat! You owe it to yourself to ensure that your home heating and cooling system is up to snuff. Contact us today to learn more and to schedule an appointment.